SolutionCorp.com provides a variety of system services for advanced web program development and web server configuration. Our expertise includes web server setup and implementation, internet security, firewall network protection, and data base driven commercial web design. 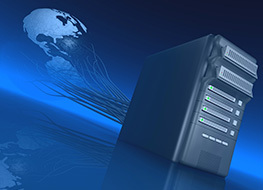 Our staff is highly skilled in all facets of tuning and configuring Web servers. We deliver very cost effective server solutions for Unix,Linux and Microsoft IIS web and mail servers. Our advanced system services include network security, performance tuning and database connectivity. Our experience in providing hosted online ASP services gives us an extensive knowledge base for configuring proxy firewalls to protect your networks from intruders. We analyze your current environments and provide the appropriate tools for monitoring security and virus protection.